May pickup is Saturday, May 4th. The Cymbria Lions Club Inc. is entertaining proposals from interested catering businesses to provide catering services for weddings in the 2020 season. Typically, our season is June to October. The average wedding is 100 to a maximum of 175 guests. We have approximately 10 to 12 weddings per season. It is the intention of the Cymbria Lions Club to retain the services of 2 to 3 professional catering services that our wedding coordinator can refer interested clients to. The caterer would be expected to take care of, in a timely, efficient and professional manner, all aspects of food service, preparation, serving and cleaning tables after the meal. Caterer must have license and insurance. We have a fully equipped kitchen that can be made available for a fee with conditions to caterer if required. The Cymbria Lions Club, through our wedding coordinator, would take care of the rental of venue, bar services, coordinate decorating and tear down of venue. We pride ourselves on providing excellent service and meals (a credit to the Lionettes over the past years for providing these wedding venue services). It is very important that we align ourselves with caterers with the same ideals. If you are interested in submitting a proposal, or have any questions, please submit to our email info@cymbrialions.ca. Members of our committee would be happy to meet with interested parties to further discuss these opportunities. All proposal should be submitted by April 30, 2019. It is our intention to have a decision by mid May 2019, to accommodate the requests that we are receiving for 2020. The Cymbria Lions Club is looking for people interested in part-time bartending/door monitor duties at weddings/events. Be 19 plus years old. Have a current Liquor Server’s License. To view the updated rules, please click here. 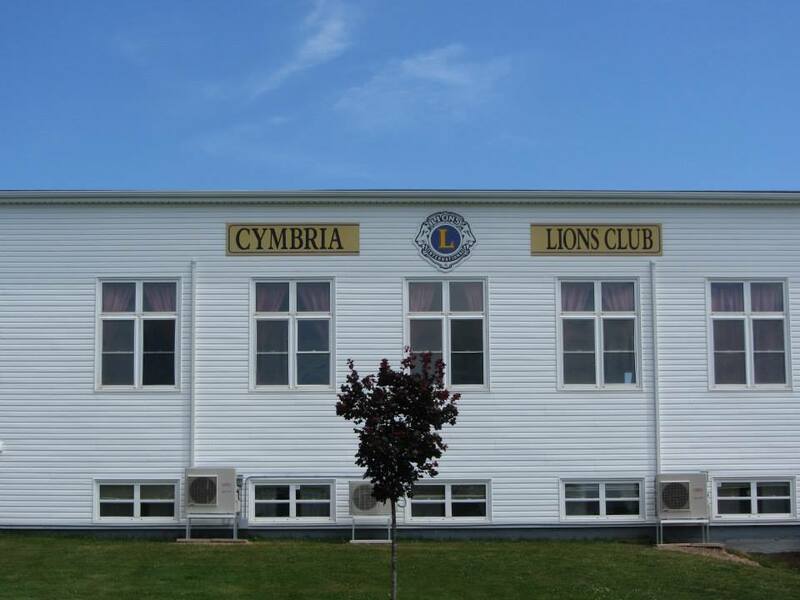 The Cymbria Lions Club Community Center is located in the heart of Rustico, PEI on 6 acres overlooking Rustico Bay. Situated next to the historic St. Augustine’s Church, Farmer’s Bank of Rustico, Doucette House and the Barachois Inn, the center provides beautiful panoramic views in a country setting only 25 minutes from Charlottetown and 45 minutes from Summerside. To request information about renting our entertainment or business area, please contact Francis Gallant at (902) 963-2166 or email info@cymbrialions.ca .